Tarps Plus Blog: When Everyone Is out Clean of Tarps, You Can Count on Tarps Plus! When Everyone Is out Clean of Tarps, You Can Count on Tarps Plus! A lot of business's run off Tarps and its crucial that when natural disasters happen and the world is in need, that these business's and people can find the Tarp they need. 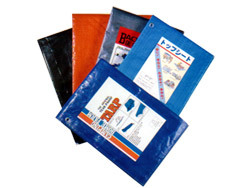 Tarps are high in demand all time of years because of the great purpose that they serve, they are virtually useful for everything and are handy for everyone. Sometimes due to the demand a lot of companies run dry on tarps leaving everyone else in need upset with a project on hold. Well Tarps Plus knows this happens and because of this emergency stock is always standing by, making sure that every tarp is available no matter how many containers you need or if you only need 1 tarp, tarps plus can make this happen for you. When you are in distress and need canopies now visit www.Tarpsplus.com and if you are looking for discounts for your quantity orders don't forget that Tarps Plus knows the importance in saving money specially now in this slowly rising economy. Please let Tarps Plus give you at the least a quote for you to compare the tarp of interest. This is something I know to well. I need at least 3 containers from you guys every year and I never have a problem getting what I need. Truly an amazing customer thoughtful company. Now I know where to go to when I need to load up for the Hurricane seasons.